Have you ever wondered why Jewish people reject Jesus? Seriously, have you stopped to truly examine the situation? Would you be surprised to learn that it’s our fault? (And by ‘our’ I mean Gentile Believers.) Well it is. You see, Jewish people who reject Jesus as Messiah and say He is a false prophet are actually following the Word of God. It is their love for and devotion to the God of Abraham, Isaac and Jacob, the God who rescued them from slavery in Egypt. Now take a moment to think about what you know of Jesus. He was a healer. He was a miracle worker. Do you think He did away with the Torah/the commandments? Do you think He taught others to not to follow God’s commandments? Then you agree with God’s Word that He is a false prophet. I’ve discussed this passage before, so I won’t dwell on it here. Instead, I will point out that He told His followers to obey the Jewish leaders. So why did He always seem so upset with the Jewish leadership? Besides the fact that He said they were not practicing what they taught (Mt 23:3b), a little background in Jewish history should shed more light on the situation. When I was in Israel, I learned that the 1st Temple was destroyed because of idolatry. 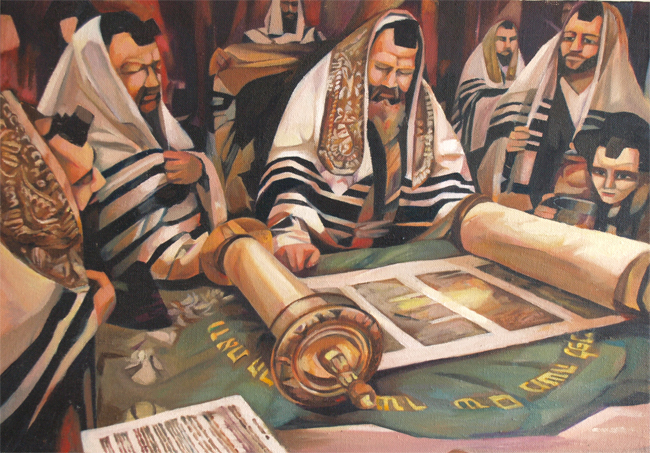 Therefore, the leaders of the 2nd Temple period taught that the people must meticulously follow God’s Torah. Jesus acknowledged that they were being meticulous about it (Mt 23:1-33) but that rather than the Torah being a life giving delight (Deut 30:15-20), it had become a heavy burden (Mt 23:4). So why do Jewish people reject Jesus? As I said, it’s our fault. In our zeal to follow Jesus and separate ourselves from Judaism, Christianity has misunderstood Jesus’ teachings. By doing so we made the Savior of the World, the Holy One, the Redeemer of Israel look like a false prophet and an enticer. 2 Responses to Why Do Jewish People Reject Jesus? My mother was a Polish Jew who got on the last boat to USA escaping hitler. She was the first Jewish believer in our family as Jesus ,(Yeshua) His given Hebrew name revealed to her The Truth. She was criticized ,called a traitor , ridiculed for her faith. But I lived with her .i saw she was not a hypocrit, I saw her peace ,her powerful prayers answered. I called on Him in 1966 & He came in with great power, revelation & salvation. The enemy, satan wants to obliterate Israel, the Jews so that prophesy could not be fulfilled. Zechariah says that when Jesus comes back and stands on the Mt. Of Olives in Jerusalem then will the Jews recognize Him & mourn for Him as for an only begotten son. Oh yes He will come back not to destroy but to create a new heaven & earth. And all prophesy is now being fulfilled in the Middle East. He will come or there would be no flesh left. When people read that before nuclear warfare ,it seemed impossible but now it’s imminent .God chose to put blinders on his people ,the Jews, ,till the appointed time. If God chose to do that to the Irish or any group, they would not see clearly either.anyone who does not love & have a heart for the Jew does not love or worship. The King of the Jews. 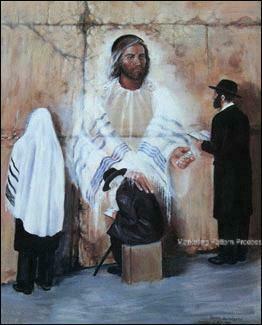 Jew & gentile who accept “The shed Blood of the Passover Lamb” can inherit eternal life in God’s Kingdom. Remember Jesus said ” before Abram, I AM . The Jews know who “I AM ” is from the burning bush. YESHUA ,JESUS IS LORD NOW and FOREVER! BLESS HIS NAME THROUGHOUT ETERNITY!!! AMEN!!! I am so glad to hear of your mother’s escape, Ginette, and her faithful witness to the Jewish Messiah. In recent weeks, as I read about people being beheaded, I realize that I never believed that it would be literal beheadings. Many times I wondered what it symbolized. Crazy, isn’t it? But you are right, He is coming soon. I look forward to seeing all Israel saved!